Home The Berkshires …And Beyond! 1Berkshire – As the official Regional Economic Development Organization and Regional Tourism Council of Berkshire County, we are here to assist you in becoming a part of our dynamic region in Western MA, which is well-positioned for investment, growth, and development. Amherst Area Chamber of Commerce – The mission of the Amherst Area Chamber of Commerce is to create, maintain and promote a vital, thriving business climate throughout the Amherst area and to initiate and support the civic, educational, recreational and economic well being of the Amherst Area. Proudly serving Amherst, Hadley, Belchertown, Sunderland, Leverett, Shutesbury, and Pelham. Berkshires.org – As the official, non-profit destination marketing organization for the Berkshires, the Berkshire Visitors Bureau promotes the region to attract visitation. We also provide visitors with highly valued information resources to help them plan their time in the region. Chapin Library of Rare Books – The Chapin Library offers the students and faculty of Williams College, together with the wider community of scholars, exciting opportunities for learning and research. The Chapin Library documents civilization, in the broadest sense of that word – people, places, events, and ideas – through rare books, manuscripts, and other primary source materials, in all subjects and periods of history, in support of the liberal arts education provided by Williams College. Crab Apple Whitewater – Family owned and operated since 1983, Crab Apple Whitewater, Inc. offers a wide variety of whitewater trips on rivers in New England. A white water rafting trip with Crab Apple is a unique experience. Members of our family participate in each river trip in Maine, Massachusetts and Vermont, ensuring that we are creating a comfortable environment for an outstanding adventure experience. Downtown Pittsfield – Designated one of the Cultural Districts in Massachusetts, Pittsfield’s downtown, known as the Upstreet Cultural District, boasts a lively roster of music, dance, theater, community festivals, and celebrations, including two highly acclaimed professional theaters—the Colonial Theatre, part of Berkshire Theatre Group, and Barrington Stage Company—presenting a wide array of performances. There’s a vibrant visual arts scene in Pittsfield, too, with public art (Artscape), thriving galleries, artist studios, cooperatives, and the monthly First Fridays Artswalk. Cultural festivals include 3rd Thursdays, the WordXWord Festival, Pittsfield CityJazz Festival, 10X10 Upstreet Festival, and more! Jiminy Peak Ski Resort – Jiminy Peak Mountain Resort is the largest ski and snowboard resort in southern New England, summer home to Mountain Adventure Park and the only mountain resort in North America to generate its own energy using alternative wind power. Magic Wings Butterfly Conservatory & Gardens – The Lepidoptera source in Western Massachusetts, featuring an 8,000-square foot indoor conservatory home to nearly 4,000 exotic and domestic butterflies in a tropical environment, Magic Wings focuses on butterfly-related education, recreation, entertainment and gardening needs. MassVacation – We’re the Massachusetts Office of Travel & Tourism. See what Massachusetts is all about. Whether you’re looking to soak up some culture, get in touch with nature, or just bond with the family, there are countless colorful things to see and do in Massachusetts. It’s all here. Mohawk Trail – The Mohawk Trail is the first scenic road in New England. It officially opened on October 22, 1914. With 63 miles of unsurpassed splendor and 50,000 acres of state parks and forests, it’s an excellent vacation choice for fun and adventure for all ages during any season. Northampton Chamber of Commerce – The Greater Northampton Chamber of Commerce is a member-supported, nonprofit organization that creates and sustains meaningful connections. Our members, volunteers, and staff are dedicated to the community where we live and do business. A prosperous community distinguished by creativity, inclusion, caring, and stewardship of place – for the benefit of all. Springfield Regional Chamber – The Springfield Regional Chamber is a business association representing the region and its geographic hub of Springfield and more than 700 members of all sizes, industry and profession, providing leadership in creating a healthy economic climate. 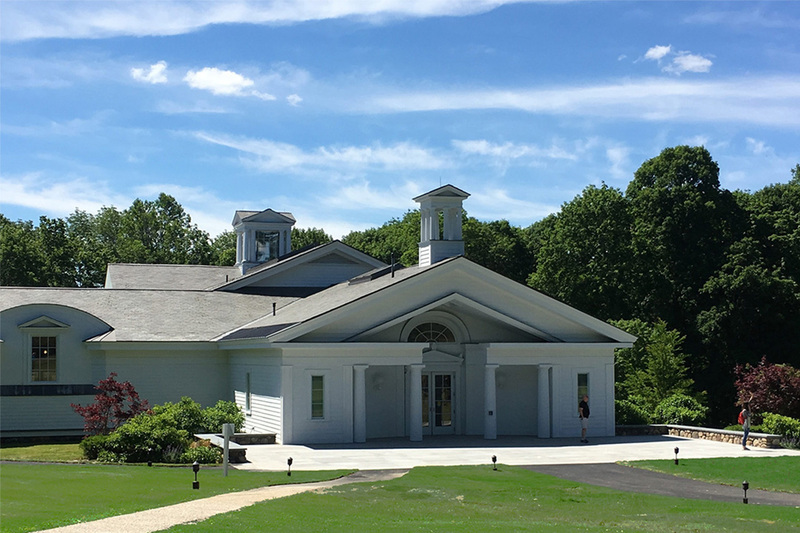 Taconic Golf Club – Welcome to Taconic Golf Club, located in the beautiful Berkshires of western Massachusetts. Taconic provides golfers with a magical combination of spectacular scenery, a classically challenging course, and superb playing conditions. Waubeeka Golf Links – 18 Hole Public Course and quite possibly the most challenging, beautiful and memorable 6,000+ yards you’ll ever encounter. Williams College – Williams College is a private liberal arts college located in Williamstown, Massachusetts. Established in 1793, there are three academic curricular divisions (humanities, sciences and social sciences), 24 departments, 33 majors, and two master’s degree programs in art history and development economics. Williamstown Chamber of Commerce – The Williamstown Chamber of Commerce is a non-profit organization made up of member businesses, agencies, and institutions whose joint agenda is the furtherance of Williamstown, Massachusetts as a place to live, work, and play. Yankee Candle – Far more than just a candle store, our South Deerfield, MA location is a special place where magic comes to life. From watching animated, singing characters to celebrating Christmas year ’round, an unusual place where your whole family can experience an enchanting mix of shopping and entertainment. Zoar Outdoor – Since 1989, Zoar Outdoor has offered the best in New England white water rafting trips, kayaking clinics, zip line canopy tours, canoeing instruction, rock climbing classes and kayak rentals for adventurers of all abilities, from beginners to experts. ’62 Center for Theatre and Dance at Williams College – The ’62 Center for Theatre and Dance at Williams College supports theater and dance students in their pursuit of artistic excellence and serves as a world class venue for the Williamstown Theatre Festival. Academy of Music Theatre – The mission of the Academy of Music is to enrich greater Northampton’s quality of life by offering first class performing arts and film presentations in an historic theatre of national significance, and encouraging the use of the venue for social, educational and professional events. Bennington Battle Monument – Built in the late 1880’s, this monument is a dedication to the famous Battle of Bennington that took place during the Revolutionary war in 1777. It was at this location the American colonists maintained a store of weapons and food, which British General Burgoyne knew was critical to capture in order to restock his own troops. Bennington Museum – The Bennington Museum was founded as the Bennington Historical Association in 1852 to celebrate Bennington’s Colonial past and, more specifically, to commemorate the historic Revolutionary War Battle of Bennington in 1777. Over time the museum acquired paintings and sculpture by Vermont artists, children’s toys, maps, books, and military artifacts. Berkshire Botanical Garden – Our public display gardens are open May through mid-October. Both functional and ornamental, they are among the oldest in the US and have been expanded over the years in breadth and variety through a series of bequests and major gifts. Our collections emphasize plants that are indigenous to or thrive in the Berkshires; more than 3,000 species and varieties are represented. Berkshire Theatre Group – Berkshire Theatre Group is the premier performing arts organization in Western Massachusetts. 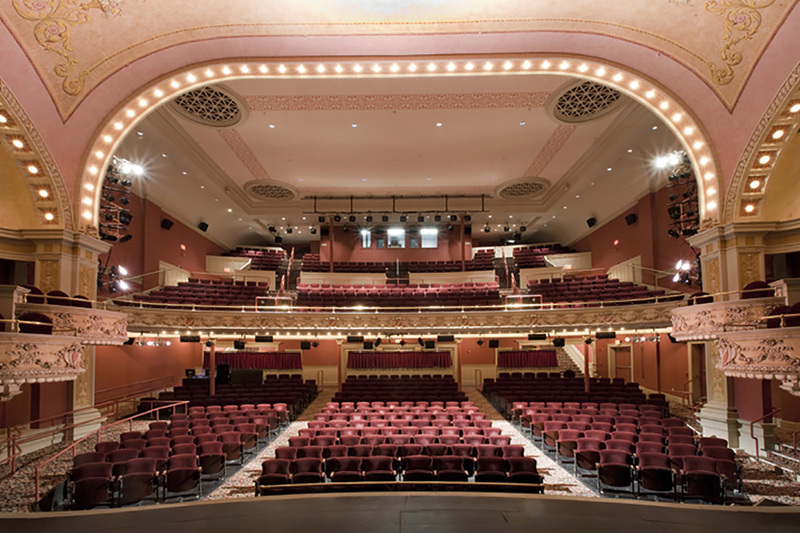 BTG encompasses 5 theaters in 3 towns throughout Berkshire County including the 780 seat Colonial Theatre in Pittsfield, the 408 seat Fitzpatrick Main Stage in Stockbridge and the 122 seat Unicorn Theatre in Stockbridge. Dr. Seuss Museum – The Amazing World of Dr. Seuss Museum, the newest museum on the Quad, is devoted to Springfield native Theodor Geisel, aka Dr. Seuss! The fully bilingual (Spanish and English) first floor features family friendly, interactive exhibits exploring Dr. Seuss’s Springfield roots and providing opportunities to experiment with new sounds and vocabulary, play rhyming games, and invent stories–all in line with Geisel’s revolutionary role in changing how we learn to read. The second floor, curated by Geisel’s two step daughters and great nephew, recreates Geisel’s studio and living room (with the furniture and art materials he actually used) and features never before publicly displayed art, family photographs and letters, and the original Geisel Grove sign which used to hang in Forest Park. You can even find Theophrastus, the toy stuffed dog Ted Geisel’s mother gave to him when he was a boy in Springfield. Hancock Shaker Village – Set your watch back a century or two and see the Village come to life through vibrant programs, tours, exhibitions and hands-on activities. This beautifully restored village, set on 1,200 acres of farm, woodland and pasture, is home to the premier collection of Shaker buildings and artifacts. Hopkins Observatory – Hopkins Observatory is an astronomical observatory owned and operated by Williams College in Williamstown, Massachusetts (USA). Constructed in 1838 by Albert Hopkins, the college claims that it is the oldest observatory in America. Jacob’s Pillow Dance Festival – Jacob’s Pillow Dance Festival is the ideal destination for a summer getaway. A National Historic Landmark and National Medal of Arts recipient, Jacob’s Pillow is nestled in the beautiful Berkshire Hills of Western Massachusetts. Called “the dance center of the nation” by The New York Times, the Pillow brings together dance, music, art, and culture. Massachusetts Museum of Contemporary Art (MASS MoCA) – Since opening in 1999, MASS MoCA has become one of the world’s premier centers for making and showing the best art of our time. With annual attendance of 120,000, it ranks among the most visited institutions in the United States dedicated to new art. MGM – Springfield – MGM Springfield covers three city blocks in the heart of downtown Springfield, Mass. Igniting a cultural and economic renaissance in a historic New England city, the approximately 2 million square-foot development, which combines new construction with revived historic buildings, offers more than 125,000 square feet of gaming space, a 250-room boutique hotel on Main Street and superior spa services, diverse retail and inspired dining headlined by award-winning Chef Michael Mina’s Cal Mare. MGM Springfield also features the seven-screen Regal luxury cinema complex, bowling lanes, a seasonal skating rink and outdoor marketplace displaying local art, events and talent. MCLA’s Berkshire Cultural Resource Center – MCLA’s Berkshire Cultural Resource Center (BCRC) provides professional development training, resources, and support to the artists, art managers, and creative workers of Berkshire County. Through its multiple programs and presentations, BCRC brings the best of performance and art to the Berkshires and showcases the best of the Berkshires to the world. 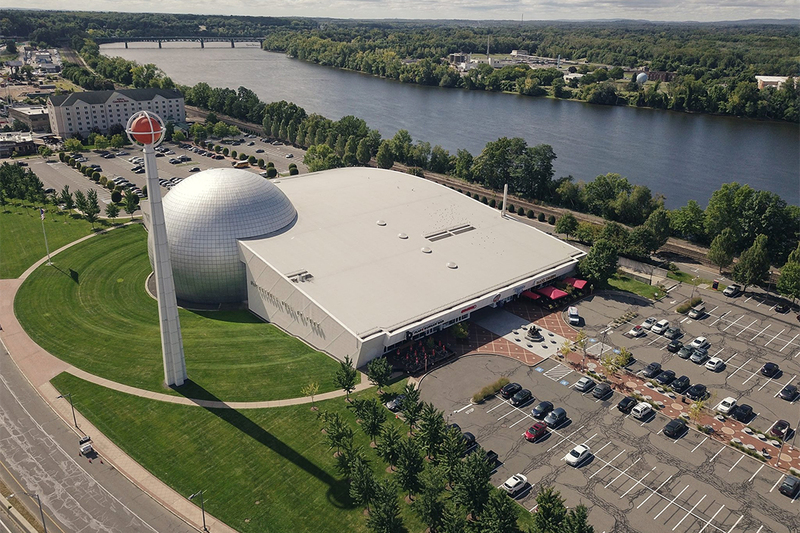 Naismith Memorial Basketball Hall of Fame – The Naismith Memorial Basketball Hall of Fame is home to more than three hundred inductees and more than 40,000 square feet of basketball history. Located in Springfield, MA, hundreds of the museums interactive exhibits share the spotlight with skills challenges, live clinics, and shooting contests. Norman Rockwell Museum – Founded in 1969 with the help of Norman and Molly Rockwell, Norman Rockwell Museum is dedicated to the enjoyment and study of Rockwell’s work and his contributions to society, popular culture, and social commentary. The Museum, which is accredited by the American Association of Museums, is the most popular year-round cultural attraction in the Berkshires. Shakespeare & Company in Lenox – Shakespeare & Company aspires to create a theatre of unprecedented excellence rooted in the classical ideals of inquiry, balance, and harmony; a company that performs as the Elizabethans did — in love with poetry, physical prowess, and the mysteries of the universe. 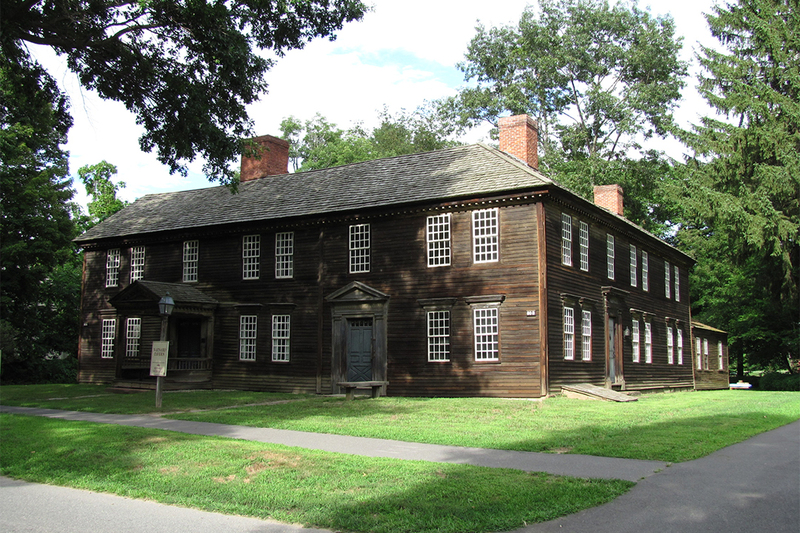 Smith College Museum of Art – The Smith College Museum of Art (abbreviated SCMA), connected with the well-known Smith College, is a prominent art museum in Northampton, Massachusetts. 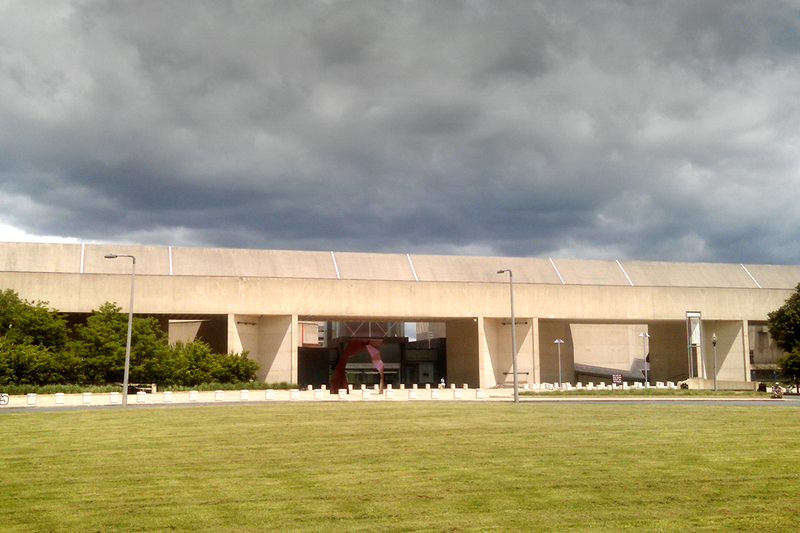 It is considered to be one of the most impressive college museums in the country. The museum is best known for its remarkable compilation of American and European art of the 19th and 20th centuries, including superb works by Edgar Degas, Jean-Baptiste-Camille Corot, Gustave Courbet, Paul Cézanne, Claude Monet, Georges Seurat, Albert Bierstadt, John Singer Sargent and others. Sterling and Francine Clark Art Institute – The Sterling and Francine Clark Art Institute is an art museum and a center for research and higher education, dedicated to advancing and extending the public understanding of art. 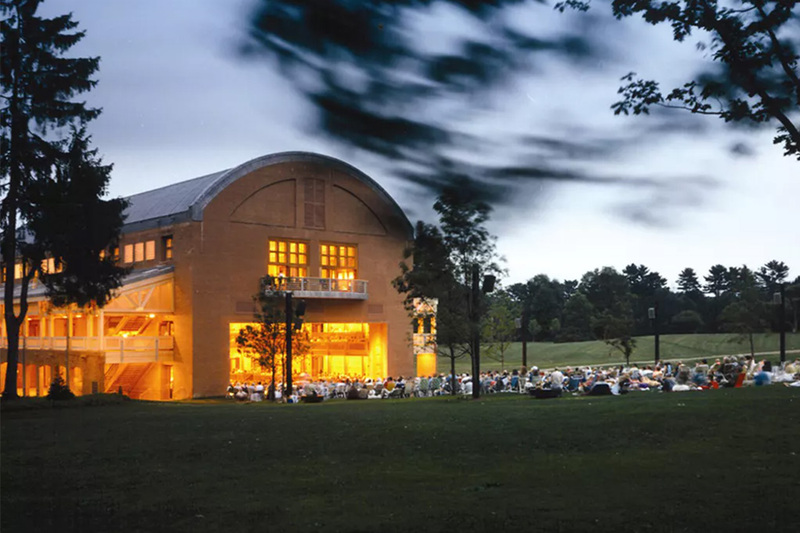 Tanglewood – Tanglewood, one of the world’s most beloved music festivals and the famed summer home of the Boston Symphony Orchestra located in the beautiful Berkshire Hills of western Massachusetts. The Berkshire Museum – Bringing people together for experiences that spark creativity and innovative thinking by making inspiring educational connections among art, history, and natural science. The Mount – The Mount is both an historic site and a center for culture inspired by the passions and achievements of Edith Wharton. Designed and built by Edith Wharton in 1902, the house embodies the principles outlined in her influential book, The Decoration of Houses (1897). The property includes three acres of formal gardens designed by Wharton, who was also an authority on European landscape design, surrounded by extensive woodlands. Williamstown Theatre Festival – Nestled in the Berkshire Hills of western Massachusetts, the Williamstown Theatre Festival is a celebration of theater that brings together a vast array of artists and offers audiences varied cultural experiences.